Margie Engle and Indigo jumped to victory in the 100,000 Detwiler Fenton FEI World Cup Qualifier of Syracuse presented by G&C Farm at the Syracuse Invitational Sporthorse Tournament. Photo By: Reflections Photography. Syracuse, NY - November 6, 2010 -The fast paced action continued in downtown Syracuse today. The featured class of the night was the $100,000 Detwiler Fenton FEI World Cup Qualifier of Syracuse presented by G&C Farm. The great US rider, Margie Engle, out rode 27 riders representing six countries to take the lionshare $100,000 purse. As she stepped into the arena as the last of three qualifiers of the jump-off, Margie Engle knew all she had to do was to keep the rails from hitting the dirt and she would leave the ring as the winner of the $100,000 Detweiler Fenton FEI World Cup Qualifier of Syracuse presented by G & C Farm. Her Dutch warmblood horse, Indigo, helped her reach that goal as the massive grey gelding gave it his all over every fence and crossed the timers clean in 39.15 seconds. “He’s such a trier. He gives it everything he has” said Engle after her win. Earlier this afternoon Engle also rocked the house by winning the $30, 0000 TK99 Speed Derby. Besting a field of 22 riders from five different countries was rider Margie Engle and her mare Pamina L. The pair dominated the class with a blistering clean round in 48.91 seconds. The only rider to come close to taking home the blue ribbon was the young Irish rider, Darragh Kenny, who finished second aboard Looping Star, posting a clean go in 49.220 seconds. The TK99 class is all about speed and strategy and the key to winning is having a fast, responsive horse with the ability to turn smoothly on the fly. 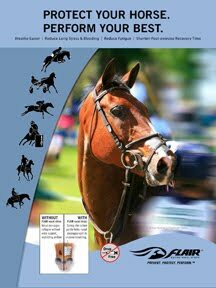 Rails down convert to the time so riders with errors on course could still potentially win if their horse was fast. Richard Jeffery designed a challenging course that pushed riders to move forward while keeping their horses focused on the job at hand. 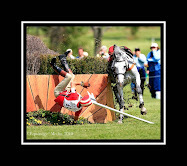 The fifth fence on the course, a narrow white gate in shallow cups, proved to be a bogey fence, falling several times during the performance. As the class progressed the riders pushed their horses faster and faster trying to have the best time. Although Engle’s mare jumps big over every fence, Pamina L is still incredibly fast. Although there were five riders to follow the pair, including hometown favorite Beezie Madden, no one was able to best Engle’s time and she earned the win and points towards a spot in Sunday’s Syracuse Sporthorse Cup. Other action in Syracuse today included the $30,000, 1.45m International Time First Jump Off, presented by Windsor Show Stables, which was the first afternoon open jumper class to challenge the 24 riders and their horses over the Richard Jeffery course. Eight riders managed to keep the rails in the cups and returned for the jump-off. Spectators watched as each rider attempted to outdo the previous and the lead kept changing hands. Fast turns and tight rollbacks caused some to post faults. Four riders however, kept all the rails off the ground and it was American rider Kent Farrington and his speedy mount Up Chiqui who secured the win with a blazing time of 32.520, besting second-place finisher, Maggie Jayne and Uraya, by only six one hundreds of a second. Next up was the ever-popular $5,000 Empire Ride and Drive that had spectators cheering on the riders. Last year the excitement was intensified when Olympic rider Leslie Howard had some technical problems with her tractor and crashed into the stage. With Leslie Howard listed as one of the five riders competing in today’s class, the crowd expected an exciting afternoon. Little did they know the first rider would lay down a time that couldn’t be beat. It was Harrie Smolders of the Netherlands (a rider ranked 15th in the world) who stepped out of the in-gate and never took his foot off the gas pedal. He laid down a fast track on his horse Axel Verlooy and went on to tackle the obstacle course aboard the tractor with ease and speed. The remaining four riders tried their best to beat him but all came up short. Leslie Howard was last to go and put in a stellar round on Goed Zo. Her tractor was specially fitted with a coil spring in the front of the hood lest she come too close to the stage again. While she did manage to run over some of the decorative shrubs on the course she kept everything intact and finished fourth. For more information on the Syracuse Invitational Sporthorse Tournament, please visit www.syracuseinvitational.com.